In 2018, the Fracture Risk Assessment (FRAX) tool celebrated its 10th birthday. It is timely, therefore, that Archives of Osteoporosis has published “A brief history of FRAX” from the architect and metaphorical father of FRAX, Professor John Kanis, and his team . FRAX was a conceptual and clinical advance over treatment based upon bone mineral density (BMD) T-score alone , and has subsequently made its way into over 100 clinical practice guidelines worldwide . In the modern age of data analytics, it may appear surprising that FRAX was “only” based upon 60,000 individuals . However, for the time, this was a prodigious sample size derived from multiple international population-based prospective cohort studies and clearly up to the task since the core of the FRAX algorithm has not undergone any revision since it was released. Looking back, the birth of FRAX was greeted with much hullaballoo and excitement. Expectations were unrealistically high. 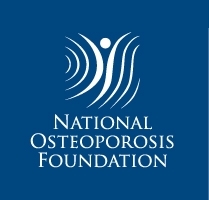 Many (mea culpa) naively believed that this would simplify osteoporosis treatment decision making. Subsequent experience has shown that this is far from the truth—the importance of clinical judgment has not been diminished with the emergence of FRAX and indeed remains a critical ingredient in the physician-patient encounter. Critics (and there have been many) have questioned various aspects of FRAX, not least whether fracture probability identifies a treatment-responsive risk. Those criticisms have at least in part been addressed in the recently published SCOOP trial which demonstrated a significant reduction in incident hip fractures among individuals selected for treatment based upon hip fracture probability, implying that high fracture probability as reflected in FRAX is responsive to appropriate osteoporosis management . Moreover, post hoc analyses found that the effect on hip fracture reduction increased with higher baseline FRAX hip fracture probability, a most fortuitous but unexpected situation . The review from Kanis et al. concludes with “Teething troubles.” At the risk of straining the analogy, FRAX is now approaching its adolescent years, a time when more existential angst and turmoil is to be anticipated. Some of the limitations of FRAX have been openly acknowledged by the FRAX team , in part reflecting the inevitable tension between creating a tool that is more accurate (but unwieldly in the number of the risk factors) versus lacking sufficient detail to capture the variations commonly encountered in clinical practice . As a tool intended for use by primary care practitioners, FRAX is easy to criticize—“too little” for some and “too much” for others. Arguably, one of the most important limitations of FRAX, which of course is intended to identify high fracture risk, is the effect of prior fracture on that risk assessment. FRAX accepts only a binary input for previous fracture, whereas clinicians know that all fractures are important but not all fractures are equal. Fractures involving the hip and spine carry a higher risk for recurrent fracture than fractures of the distal extremities , and also have an evidence base to support empiric therapy on the basis of fracture alone [10, 11]. Equally important is the concern that multiple fractures carry greater risk than a single fracture, yet this is not accommodated in FRAX as it is for other calculators [12, 13]. The fracture mechanism, simplistically reduced to traumatic versus fragility, represents another dimension. Some studies suggest that traumatic fractures carry the same risk for recurrent fractures as non-traumatic fractures [14, 15], though most clinicians and patients have difficulty seeing these as equal. More recently, the time-dependence of fracture risk has come into focus, with the suggestion that there is a period of imminent risk following a fracture event [16, 17]. In principle, this creates an opportunity for early intervention, potentially with more potent agents, to reverse that risk . Whether any risk assessment tool will ever be able to capture all of these nuances is doubtful. Enter the importance of clinical judgment which was important in the pre-FRAX era and will remain so far into the future no matter how fracture risk assessment evolves. Creation of a tool, even a clever evidence-based tool like FRAX, does not necessarily ensure that it will be used, be used correctly, or make measurable differences at the societal level. Translation from science to clinic to public health will require new strategies and alliances. Guidelines are clearly not enough, as evidenced by data showing that BMD still drives treatment decision making even when individuals qualify for therapy based upon high fracture probability or major fractures. 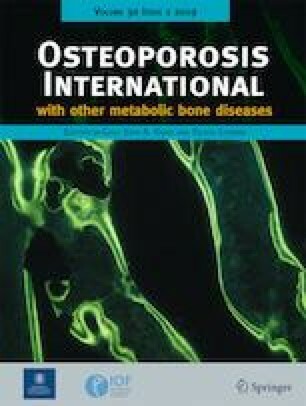 We reported that primary care physicians embrace the concept of absolute fracture probability , and instantaneously reduced their proclivity to initiate treatment of osteopenia , but are still reluctant to treat women found to be at high risk of fracture in the absence of a BMD T-score in the osteoporotic range . Moving beyond BMD T-scores remains a challenge to the osteoporosis community even 10 years after the birth of FRAX. Of course, FRAX is not the only fracture prediction tool that has been developed (see review by Rubin et al. ). Each tool has its unique strengths and weaknesses, and the hope is that we can learn from each other to create better tools, more effective screening strategies, and (ultimately) improve the care of patients worldwide. To date, FRAX has been an only child. There is speculation about a sibling (FRAX II) and the extent to which this may or may not be able to address perceived limitations to FRAX itself. The wish list is long, and compromises will have to be made along the way that will disappoint some. But that is another tale for another time. In the meantime, I am happy to celebrate the successes of FRAX over its first decade of life, and wish it many happy returns.